VSCO is a creative channel that builds creative tools, spaces, and connections driven by self-expression. The company’s mission is to help everybody fall in love with their own creativity. VSCO was co-founded in 2011 by Joel Flory and Greg Lutze, who combined their passions for photography and technology to build VSCO. Joel started and ran a business as a successful commercial and wedding photographer, while Greg worked as a Creative Director for design agencies in Seattle and New York, and as an Art Director for Microsoft’s Xbox team. 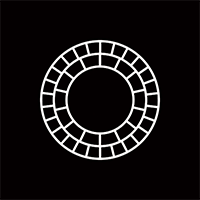 Joel and Greg set out to build VSCO as a company for creators, by creators. VSCO gives creators the freedom to express themselves however they choose. VSCO combines industry-leading, proprietary technology and powerful mobile editing tools, with a focus on education and a vibrant global community. VSCO has $70m in funding from top investors including Ryan Sweeney of Accel Partners, Glynn Capital, and Goldcrest Capital, including most recently a $30m Series B round in 2015 led by Glynn.